GET IT ON BEATPORT HERE. 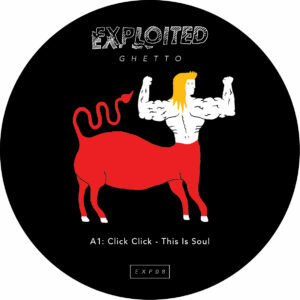 Click Click made bis debut on the Exploited Ghetto imprint with ’The Muzic Box’ which became the best selling release of the still young label. His debut did see support and reactions from Claptone, Claude Von Stroke, Tiga, MANIK to mention a few. According to Mixmag it was also one of the Top Tracks that blew up the Dirtybird 10th Anniversary in London. Lately he released a remix for Marques Wyatt’s classic ’For Those Who Like To Get Down’ from 2002 on San Francisco label Om Records alongside Soul Clap. He keeps a residency in Berlin’s Watergate, has also released music on Green Velvet’s Cajual Records and now returns to Exploited Ghetto with his follow-up ’This Is Soul’.